Jokilaaksojen pelastuslaitos is one the 22 regional rescue service departments in Finland. 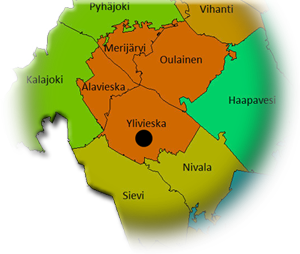 Our area of operation covers 17 municipalities in the southern part of Northern Ostrobothnia. Our website will provide you with more detailed information regarding our operations. If you are unable to find information about a specific rescue-related matter on our website, do not hesitate to contact us. We are at your service. Everyday risks under control through anticipation and collaboration. by collaborating with the residents, communities and authorities of the area. The starting point for producing and developing services is the utilisation and development of the personnel’s know-how in accordance with the ‘Osaava Jokilaakso’ model and preserving flexibility in a rapidly changing operating environment. The services are implemented by utilising and supporting contract fire department operations in the area and with co-operation networks. The Rescue Service Department can also take up other duties when operationally and financially justified without compromising its legally prescribed duties. The instructions provided on our website are general in nature and are not always suitable for special situations as such. If you would like more detailed guidance and instructions regarding matters such as the personal and fire safety of buildings, please contact the rescue officers of our fire department operating in your municipality. You can find their contact information on this website. Our website also provides various instructions and forms you may need when interacting with a rescue officer of our department. You can use the Adobe Reader software free of charge to read and print Adobe PDF (Portable Document Format) files in different hardware and user environments. Download the software here. Please visit our website on a regular basis and give us feedback and development suggestions. By doing so, you can help us develop and improve the website.